This year’s flu season is much different than the swine flu hype 3 years ago. So far there has been 27 deaths and over 2000 hospitalizations from the flu virus. More on this HERE. I think it would be prudent to maximally protect yourself this time around. We are exposed to the influenza (flu) virus by touching surface’s that are contaminated or by invisible viral droplets in the air that make there way to our lungs – typically by infected people coughing or sneezing around us. Don’t just vaccinate. I’m not suggesting not to vaccinate. However, that alone will likely not protect you from the flu. Have you or someone you know have had the flu vaccine to later get the flu anyway? I know of a few. This is because because it’s tough for vaccine companies (primarily Sanofi Aventis for you stock watchers) to predict which strain of the virus is going to be around the year after. So they often get it wrong. 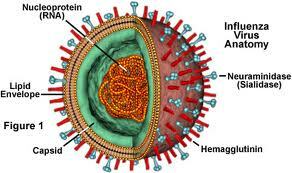 Also, those with egg allergies should avoid the flu vaccine as the virus is developed in eggs during vaccine production. Here’s today’s CNN report on the “maybe” protective benefits of the flu vaccine. Wash your hands. A little OCD here is not a bad idea.. Use hand sanitizing products like rubbing alcohol or purell. Skip midnight shows and sleep more. Record the David Letterman show or Nighttime news if that’s your thing and get some sleep. You’ll find that those around you that sleep less are more vulnerable. Don’t run marathons (literally) during this time. Extreme exercise weakens the immune system. Don’t make up your own stories though. – I’m not saying don’t exercise. I’m saying no extreme, ultra endurance exercises until the flu season is over around May. Eat garlic in your food. Garlic is an excellent immune-stimulant. Vitamin C with bioflavonoids (has to have bioflavonoids) – take 1000mg three times a day. Vitamin D3 – take between 2000 and 5000 units of vitamin D with food. Always have your doctor check vitamin D levels. Consider a immune enhancing dietary herbs like Immunitone Plus manufactured by Designs for Health. It contains powerful herbs like Astragalus, Andrographis, Echinacea and Larch arabinogactan that have proven to be excellent immune boosters. You may need to see a nutritionally oriented doctor to help you obtain Immunitone plus – DFH website HERE. Elderberry extract is also good. If Immunitone plus is not an option for you formulas with the above mentioned ingredients can be found in any health food store. Those of you taking Advanced Prostate Support (APS) packet are covered – there are two Immunitone plus pills in the packet. No vitamin C or Vitamin D in APS though. Active Hexose Correlated Compound (AHCC) has been well studied demonstrating immune modulating capabilities. I would try the above mentioned herbs and vitamins first. AHCC is more expensive, however, if one is elderly or has a weak immune system then it should be considered and taken until May. As always, I’m very grateful if you freely share this (LIKE and tweet) with friends and family.